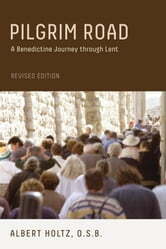 • Revised edition of a classic Lenten devotional guide from Morehouse • Includes a revised introduction and questions for reflection In the view of St. Benedict of Nursia, the Lenten journey is an inner pilgrimage with Christ into the deepest parts of ourselves, to be marked not so much by external observances, such as fasting and self-denial, as by a deepening of our relationship with God. Benedictine monk Albert Holtz develops that journey theme through meditations written during a fifteen-country pilgrimage while on sabbatical. At the heart of each reflection is the lesson it teaches about our inner spiritual journey. By applying Benedict’s monastic wisdom to the everyday concerns and aspirations of modern Christians, Pilgrim Road helps contemporary spiritual seekers travel along and experience the journey of Lent in the most positive, meaningful, and fruitful manner.